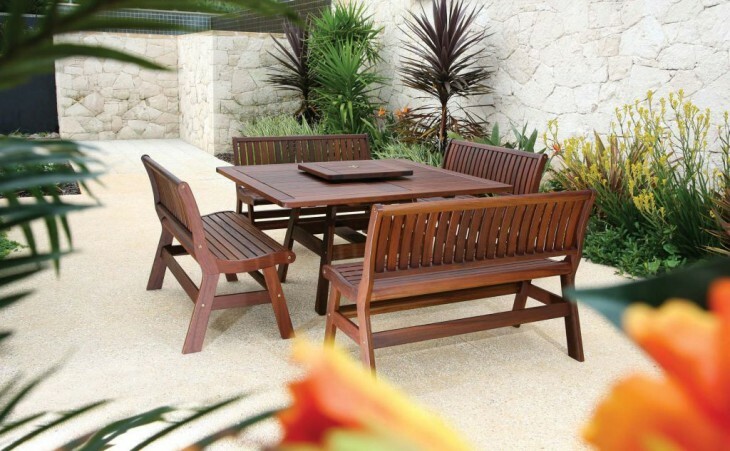 This traditional Ipe furniture collection represents the sustainability of the early designs of Jensen Leisure Furniture. Create your custom collection by choosing from chairs, benches and backless benches that suit your needs. Add an optional Lazy Susan for greater dining efficiency. The seating designs host comfort in contoured, ergonomic seating, while most of the tables in the Traditional collection utilize larger Ipe slats for a more traditional, cottage style. If square dining isn’t your preference, we invite you to come see the other selections from Jensen’s Traditional Collection. We are confident you’ll find one you love.